With this extreme cold weather (40 below zero with the wind-chill today! ), there is no way my little kitty devils are going outside. My cats are indoor/outdoor cats, and they spend most of their time literally going in and out of the door (I figure maybe I burn calories running up and down the stairs all day to cater to them!). When outside, they are never far away... always lounging with the dogs on the deck, or hanging around the Tiny House that occupies a small corner of my property. They know their territory, and rarely venture outside of the boundaries of our yard. Smart little cookies! Nevertheless, it is much too cold outside this weekend to risk the chance of Tux, Cali or Newman getting stuck outside someplace. So, inside they stay. This requires some fancy footwork on my part, and a lot of patience, as they can get into trouble, get bored, or stir up the Pack Leader, Charlie, who can sometimes start herding them around inside the house. There is never a dull moment around here, that's for sure! One of my fellow blogging/internet friends sent me this awesome infographic with tips for keeping felines happy indoors. Check it out, and enjoy. Feel free to Pin or Tweet! Keeping Your Cat Happy Iindoors by Terrys Fabrics. 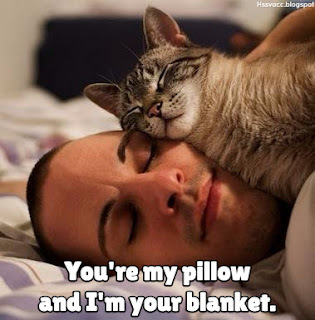 Welcome to the final edition of Morris the Cat's advice column, revealing need-to-know information on how to release your inner cat and get the best night's sleep of your life. 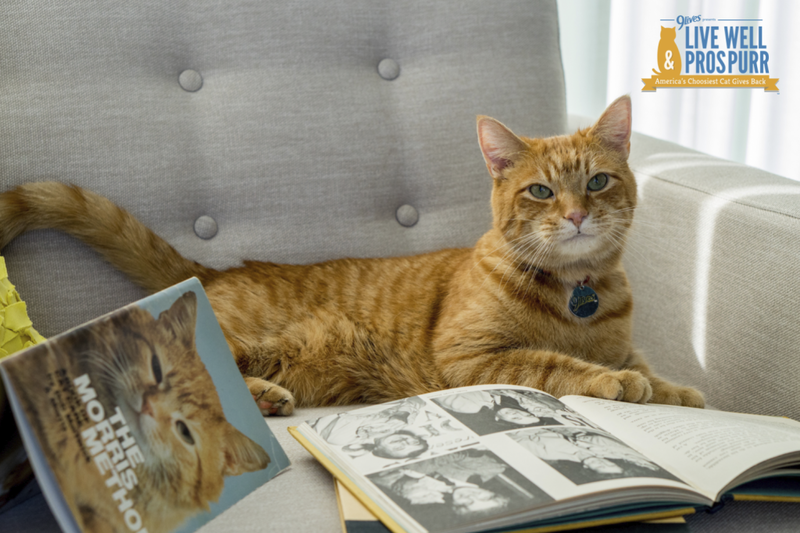 As an iconic spokescat and star of over 50 9Lives cat food commercials from the 1970s onward, Morris has a prolific career envied by many of the Internet cat sensations of today. The secret to his longevity? 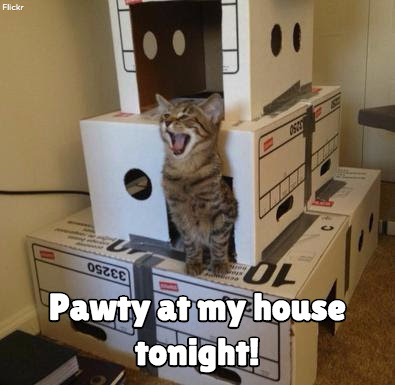 Well, for one, the fact that he eats 9Lives. But more importantly, he has a disciplined sleep regimen – racking up about 140 hours per week! Morris wants to teach YOU the tricks of the trade and give you all the tools you need, so he's hosting a giveaway on his Live Well & Prospurr site [http://prospurr.9lives.com/] to win a Morris-shaped plush bed that's big enough for you AND your cat to snuggle up on. 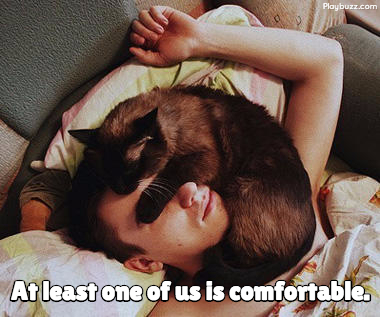 Thank you, Morris the Cat, for your wonderful nighttime tips! See the rest of them here and here. 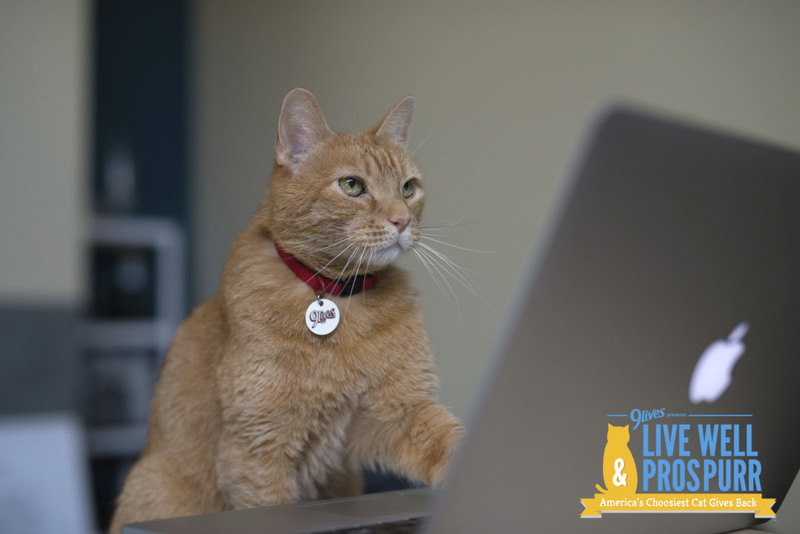 For more info on Morris' mission to help cats and humans live well – including his initiative to donate one million 9Lives meals to rescue kitties – check out his Live Well & Prospurr website [http://prospurr.9lives.com/]. And while you're there, enter to win the limited-edition, human-sized Morris the Cat plush bed along with a year's supply of 9Lives! 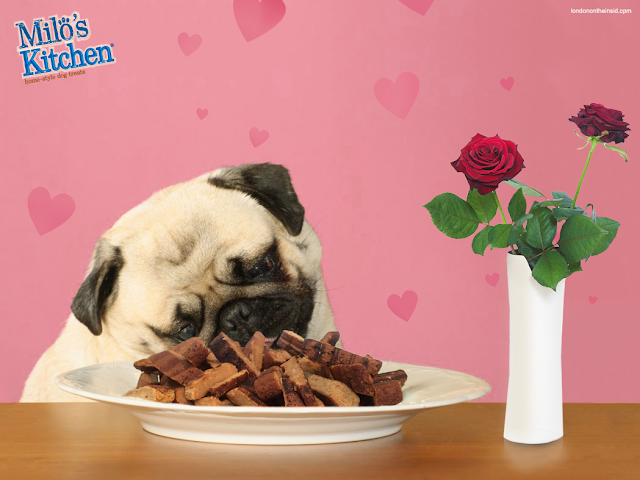 Get ready tomorrow night, February 3rd, for #DoggyDateNight on Twitter, with Milk-Bone! With Valentine's Day just around the corner, love is in the air -- and pups can sniff it too! 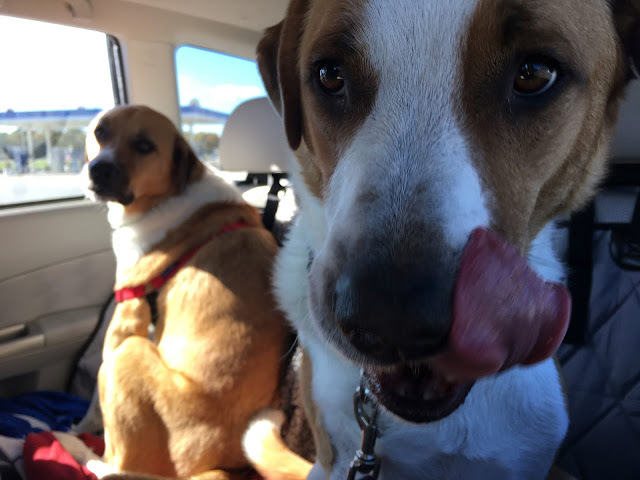 That's why I've partnered with Big Heart Pet Brands (makers of Charlie Brown and Cooper's favorite dog foods, including Milk-Bone, Pup-Peroni, Canine Carry Outs and Milo's Kitchen) to invite you to the first-ever #DoggyDateNight Twitter Party! Come celebrate with other dog lovers, show off your best puppy pics, and get treated to lots of cool surprises. Just cuddle up with your furry soulmate and tag your tweets with #DoggyDateNight to join in the fun! For those are you unfamiliar with Twitter Parties, they are really fun and oftentimes, huge, live chats on Twitter that use specific hashtags to connect participants to the conversation stream. With Valentine's Day coming up, this #DoggyDateNight couldn't have come at a better time. I'm excited to do something special for Cooper and Charlie. Though I'm fairly certain their idea of a dream date is feasting on some Milo's Kitchen Steak Grillers. They are a fan favorite! Because, you know, my next dog is going to be a Pug!! Readers, which is your favorite Doggy Valentine DIY Project? Tell me in the comments below. Plus, share a photo of your homemade doggy valentine at the Twitter Party and you could win an awesome prize! 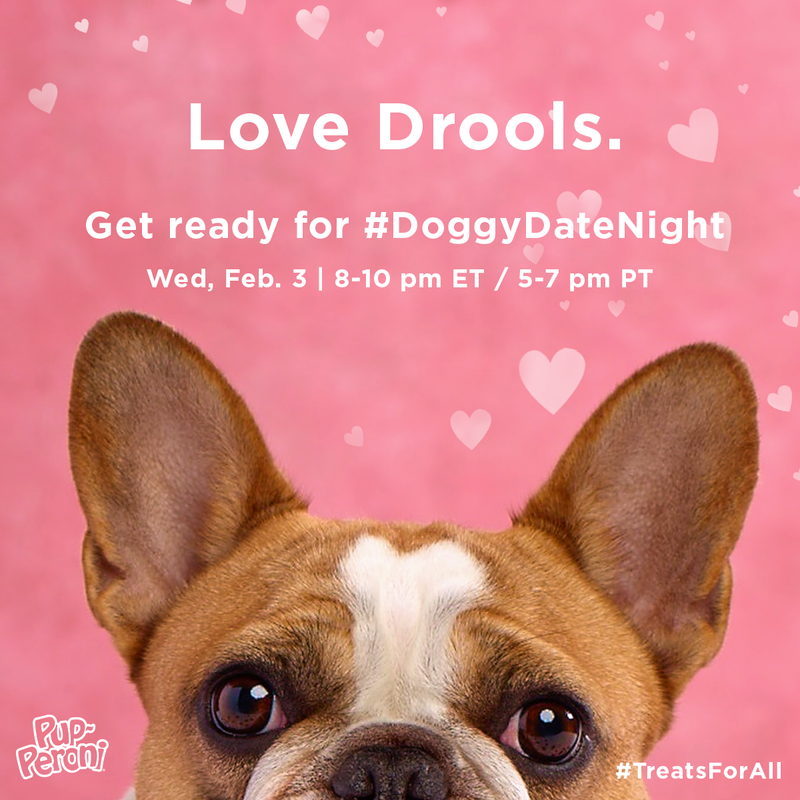 I can't wait to see you all at #DoggyDateNight on Wednesday, Feb. 3, from 8-10 pm ET(5-7 pm PT). Hey readers, I'm back with iconic 9Lives cat food spokescat Morris, giving advice to us lowly humans about how to sleep like a pro, and by that I mean, a cat. 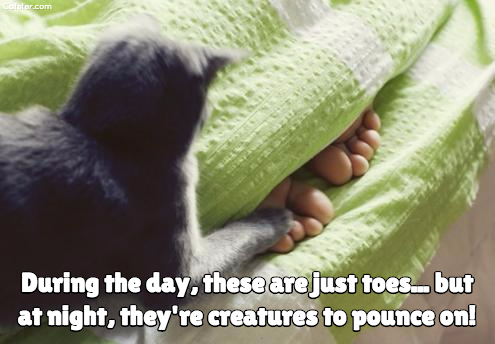 After all, they do sleep up to 140 hours a week – that's 3.5 times your typical 9-5. To help on your quest to catch more Zzzs, Morris is also giving readers the chance to win a super-cool, human-sized bed in the shape of Morris himself... because who doesn't sleep better when snuggling up with a cat? Just go to his Live Well & Prospurr website [http://prospurr.9lives.com/] to enter and check out his video with more sleeping tips. Thanks for the pawesome nighttime tips, Morris! Read Morris' first advice column here. Plus, don't forget to check back for the last installment of "Dear Morris," and in the meantime, check out his website [http://prospurr.9lives.com/] to see how you can live as well as a cat and enter the giveaway!